The Swiss parliament is where most important political decisions in Switzerland are made, even if the last word on the country's laws often lies with the people. The Swiss parliament does not have powers typically associated with the legislature in countries including the United States, Britain or France. It only occasionally proposes laws, and has hardly any staff. 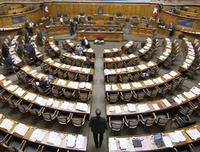 The Swiss parliament is usually only in session four times a year, for three weeks at a time. Parliamentarians are not professional politicians, and nearly all hold a job outside parliament. The parliament was created in 1848, along with the founding of a federal state and the first federal constitution, which marked a shift of power from the cantons towards a new measure of centralization. Its organization closely resembles that of the US Congress. It is a bicameral legislature, with the House of Representatives providing representation based on population size, and the Senate apportioning a fixed number of seats per canton, two for each of the 20 full cantons, and one for each of the six half cantons. Parliamentary terms for both chambers are four years. Each chamber elects its own speaker, who serves for one calendar year. The speaker's responsibilities include chairing meetings and casting the deciding vote in the event of a tie. As the House speaker is simultaneously chairman of the parliament as a whole, he or she is also known informally as the "highest Swiss", owing to the key role of the legislative branch. Elections to the House (National Council) are held every four years on the penultimate Sunday in October. Senators may be elected on a different election cycle, determined by their canton. At the time of its first elections, in October 1848, the House had 111 representatives. This number rose gradually with the population, until the total number of seats was fixed at 200 in 1962. Voting procedures for parliament have also changed over time. Until 1917 representatives were elected according to a winner takes all system, but after 1919 in proportion to votes received. Cantonal laws regulate elections to the Senate. Senators were initially elected by cantonal parliaments, but are now elected by majority vote of the people. The Senate has increased in size only once in history, adding two seats in 1978, when the Jura region split from canton Bern to become its own canton, to make a total of 46 senators. Similar to the US, federal legislation is confined to areas that are explicitly defined as federal matters. All other legislative power belongs to the cantons and to the about 2,600 communes. National laws are generally proposed by the Federal Council (executive branch) and sent to parliament. Parliament must approve all spending by the executive branch. Parliament does not have a governing or opposition party. Instead of government by a strong majority party, the Swiss have an elaborate consultation process. Before the Federal Council proposes a law, it consults formally with all the political parties and with a wide range of interest groups. As the House and Senate have equal power, both must sign off on legislation in identical wording. 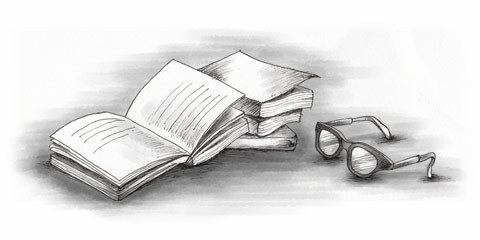 If differences remain after three exchanges, a conference committee meets to iron out these differences. If there is no agreement in conference, the legislation proposal does not go ahead. The speakers decide together which chamber should look at proposed laws first. Before a bill reaches the floor, it is debated and voted on in committee. There, each political party is represented according to its respective strength in the chamber. Parliament has the power to investigate and oversee the federal administration, and it can force the executive branch into action. It can vote on non-binding resolutions ("postulates") and binding resolutions ("motions"). Binding resolutions commit the Federal Council to draw up a law. Parliament can also initiate laws on its own ("parliamentary initiative"). The Federal Council cannot stop or influence motions, postulates or initiatives. Representatives and senators do not earn a salary but are paid a stipend, which amounts to about SFr75,000 ($62,000) per year. Individual members of parliament do not have their own offices or staff. However, they do receive laptop computers from the government. Additionally, they receive around SFr30,000 per year to cover expenses related to their mandate. Article provided by swissinfo. For latest news on Switzerland, check swissinfo.ch .